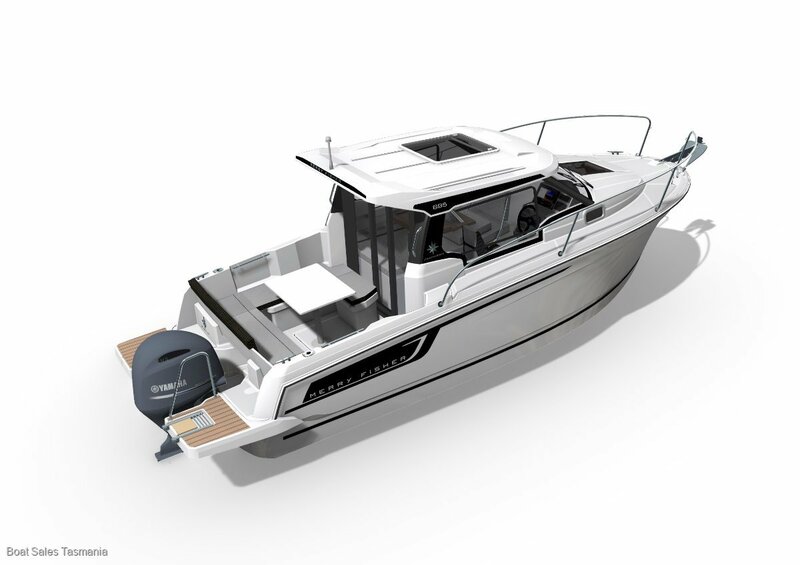 A new look - designed by Centowski & Denert, the Merry Fisher 695 marks a real difference and adopts a more tense and rewarding design for its owner, reminiscent of the recent Merry Fisher 755. 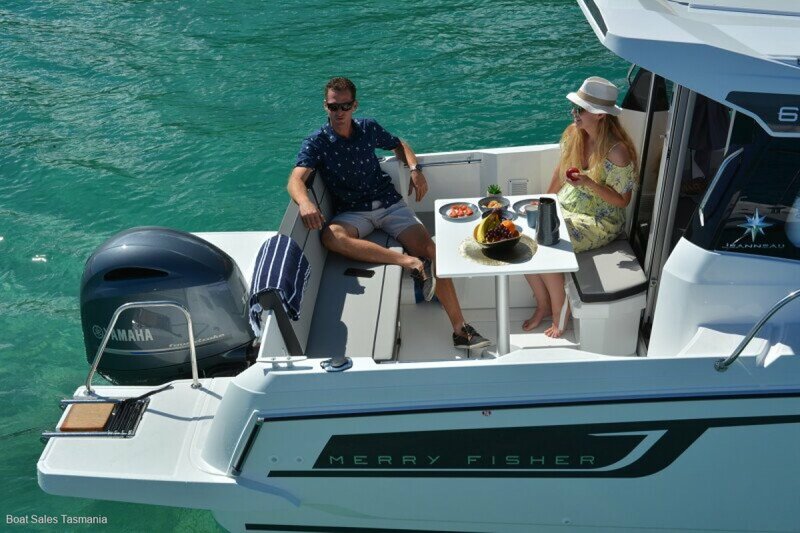 The Merry Fisher 695 is designed for family day or coastal cruising. 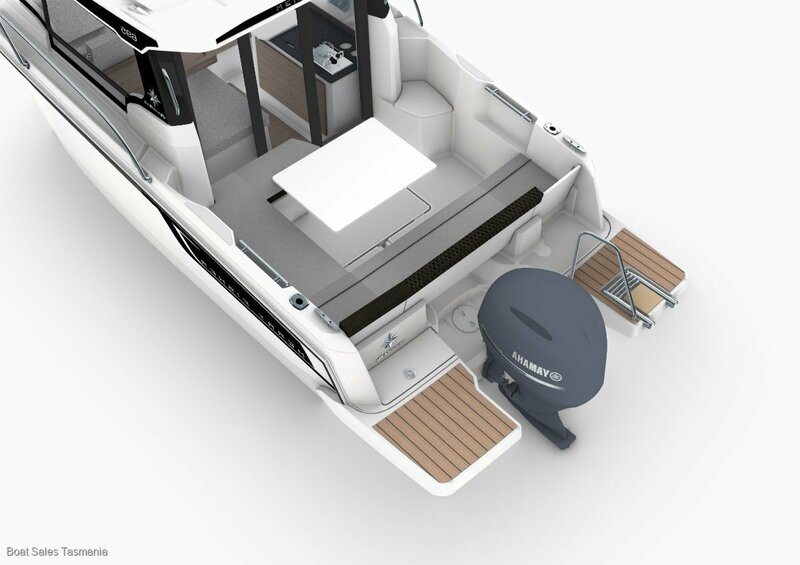 Boarding is facilitated by a cockpit gate that overlooks the large bathing platforms, available as an option. Even more comfort - the cockpit seat slides to be used even when the engine is lifted. 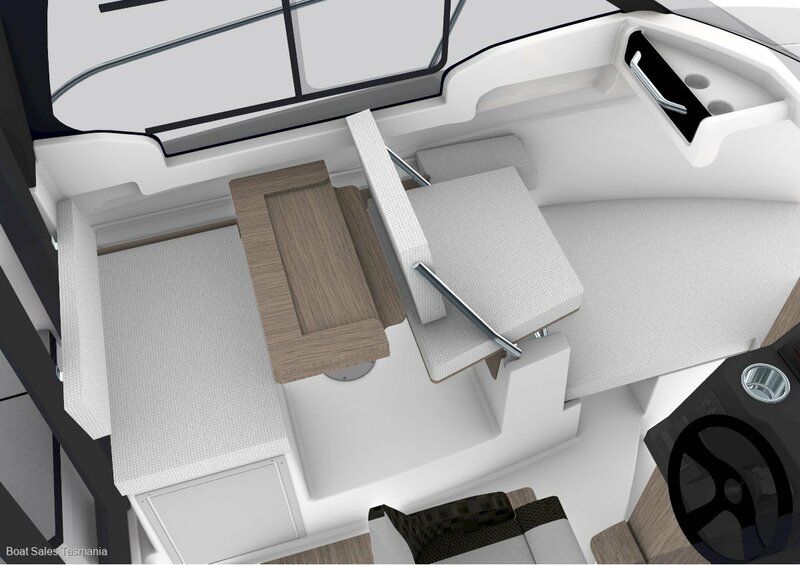 Optionally, an additional module allows a very welcoming U-shaped cockpit saloon, transformable into a sunbed. 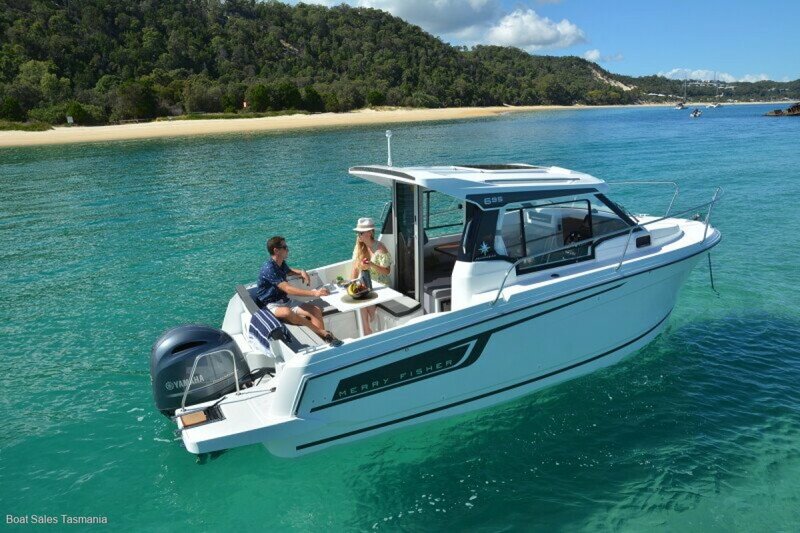 Below, the Merry Fisher 695 offers an inward-facing 4-seat saloon with a fore seat convertible into a navigation seat facing the sea. 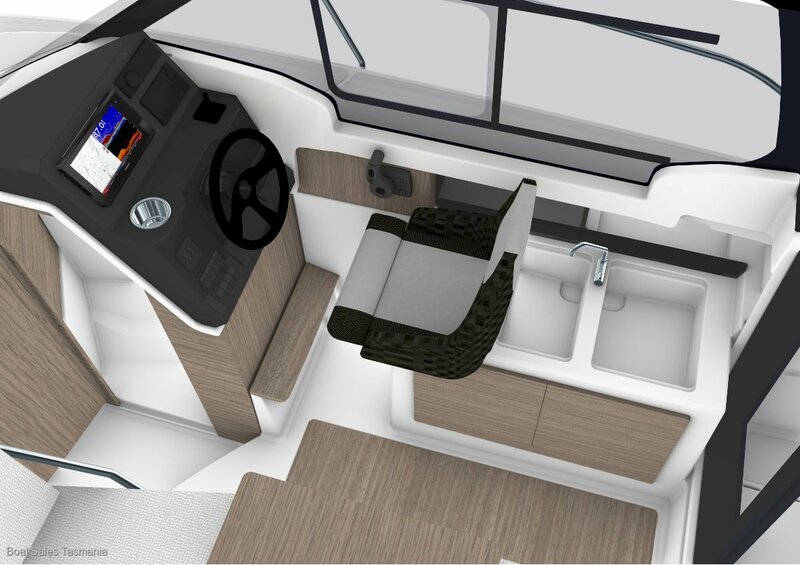 Yet another important innovation to gain in comfort: the fore cabin can be equipped with a closed compartment with a marine toilet. 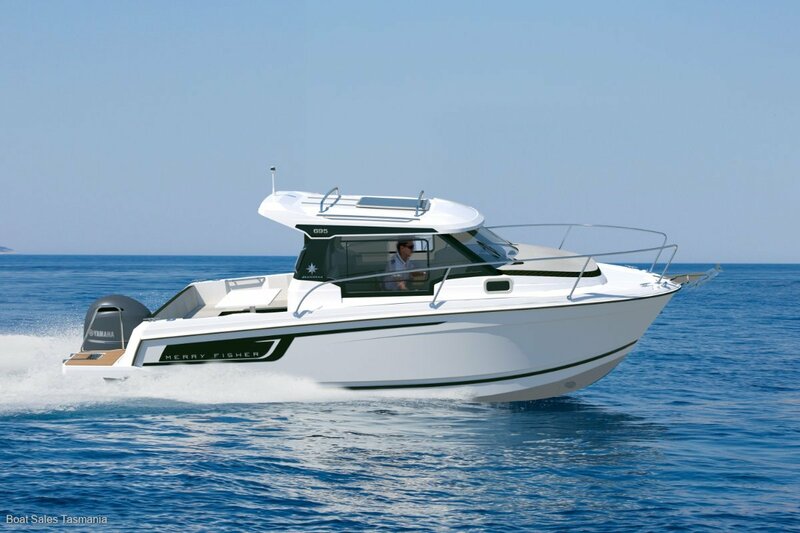 Whatever the chosen configuration, the Merry Fisher 695 has a sleeping capacity for 4 persons, once the saloon is turned into a bed. 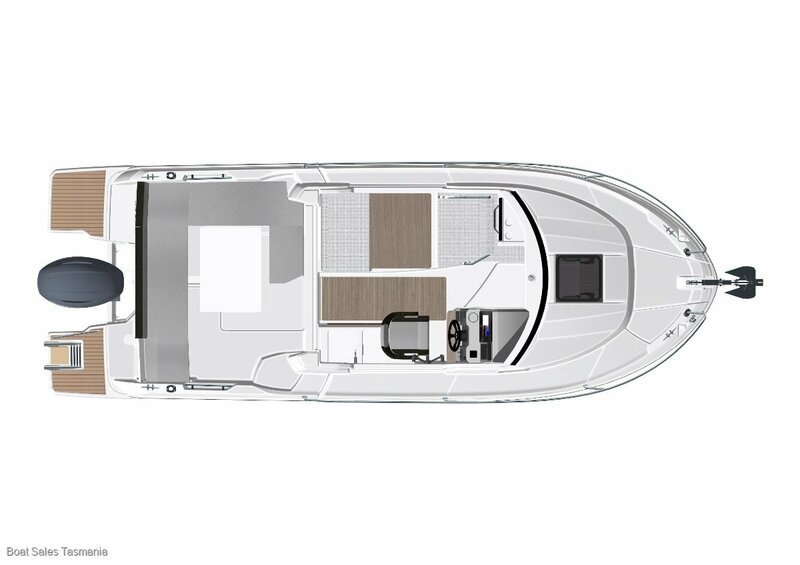 The hull has a marked and progressive V shape. 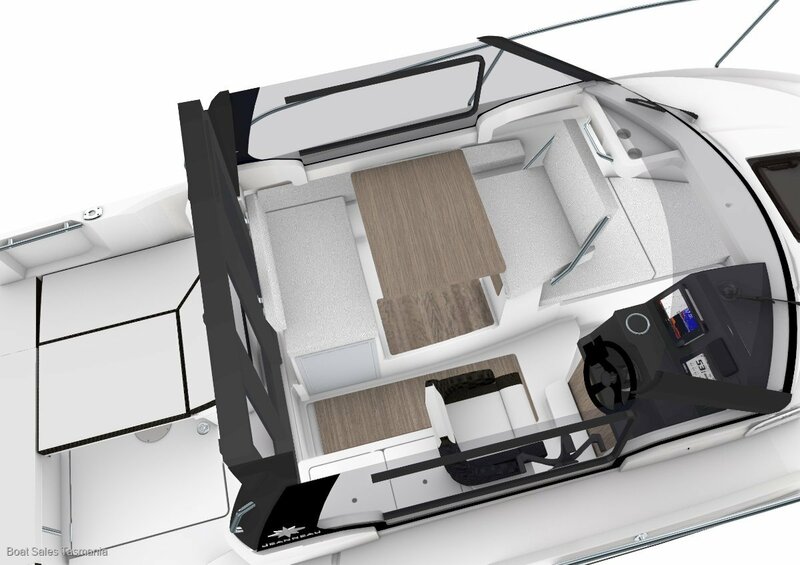 It is stable and voluminous. 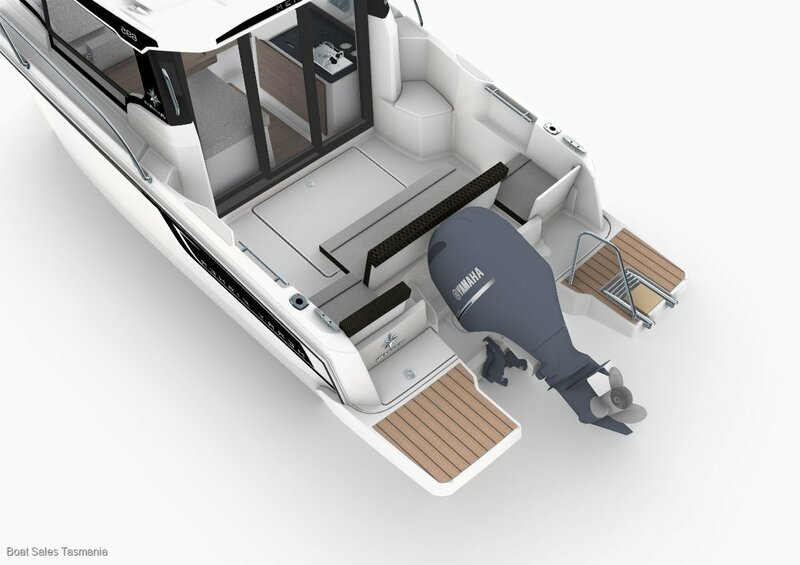 Its outboard engine reduces operating costs. 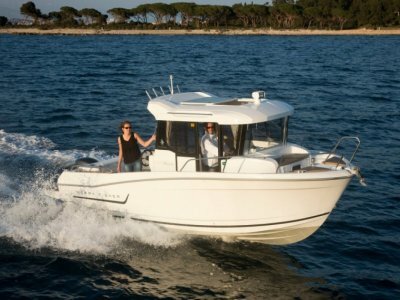 Even though the Merry Fisher 695 can accommodate large engines, it also offers excellent performance with smaller, more affordable and economical engines. 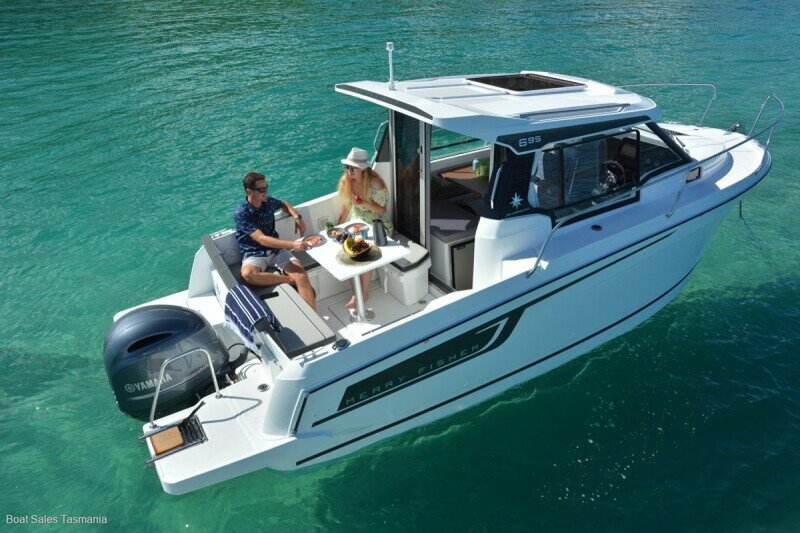 With the new Merry Fisher 695, Jeanneau once again demonstrates its expertise in the design of family and economical boats perfectly suited to coastal cruising. 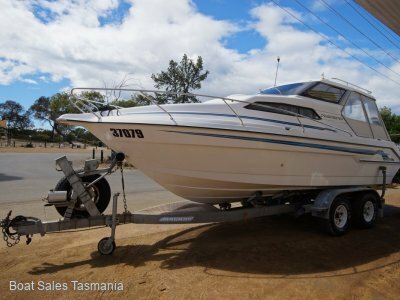 Price includes a Yamaha 4 Stroke outboard fitted with pre-rig kit including gauges, mechanical controls and alloy propeller unless indicated. 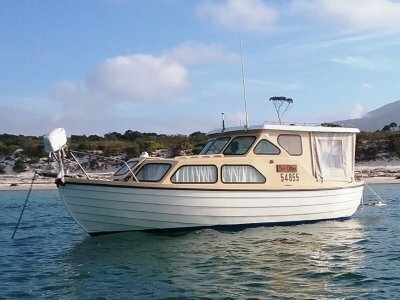 Other outboards available on request. 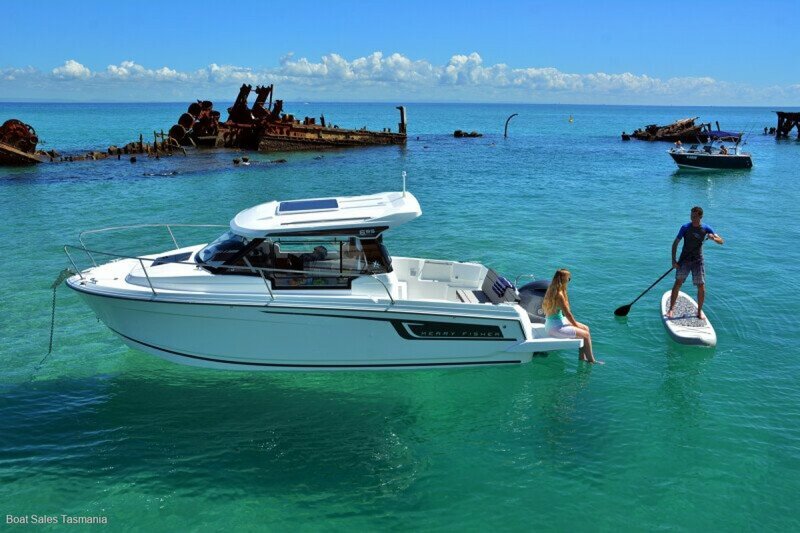 Price includes all govt charges, registration and safety kit. 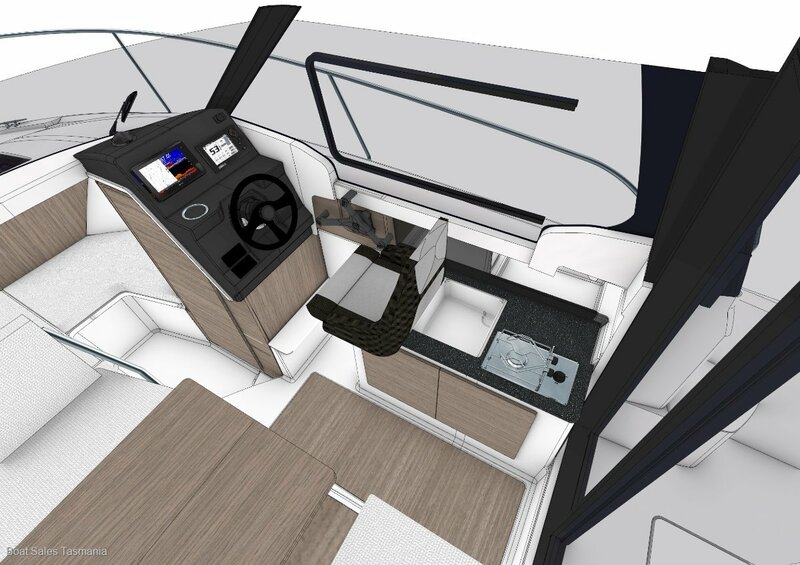 Does not include antifoul.